"Of all the things successful people do to accelerate their trip down the path to success, participating in some kind of coaching program is at the top of the list." Life coaching, often called personal coaching or simply "coaching," is a one-on-one, collaborative process in which a trained professional (the coach) helps you (the client), achieve your personal life goals. These goals may include just about anything: more self confidence, weight loss, career change, better relationships, and many more. People from every possible age, background, and occupation get coaching, but they all have one thing in common: a desire to achieve something more in their personal or professional life. Whatever your goals, a professional coach gives you motivation, accountability and support, keeping you focused and taking action from week to week. Speaking of taking action, Noomii had the pleasure of interviewing Katie Jeanes who managed to achieve all of her one-year goals with the help of her coach. Watch the video below to get inspired. One of the most common reasons people report for wanting to work with a coach is the feeling of being "stuck." They’re stuck in a job they don’t like, stuck in an unsatisfying relationship or stuck in a life that lacks meaning and purpose. A coach’s job is to get you unstuck and they do this with a number of tools, techniques and processes designed to help you find what drives you, where you want to go, and the best way to get there. The use of the word "coach" is not an accident. 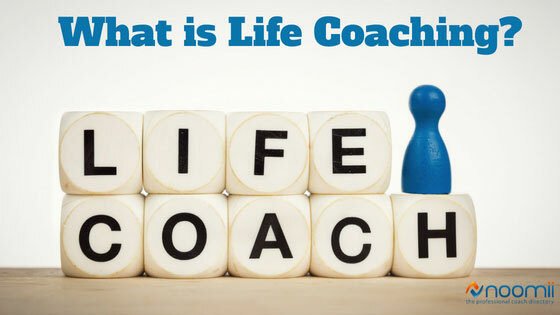 A personal life coach is fundamentally no different from a football coach or a tennis coach. A good sports coach will keep you focused on your goal, provide feedback, encourage you when you’re feeling frustrated and make sure you’re challenged enough to make real progress from week to week. Likewise, a good personal life coach will help you stay motivated, focused and give you objective feedback to help you get farther and in less time than you could on your own. How to choose a life coach? What is the difference between life coaching vs therapy? What problems does life coaching solve? Why don't more people hire life coaches? What credentials do life coaches require? The kind of coaching you choose depends on your specific goals. If you aren't sure which coach is right for you, simply fill out a personalized coach recommendation and one of our coach match specialists will send you up to three matches that meet your specific needs and budget. The most important thing to remember when looking for a coach is to find one whose training, background and skills most closely match your specific goals. There are many coaches with many different specializations, and your ultimate success will largely depend on finding the coach with the best “fit” for your particular situation. Because finding the right fit is so important, it’s critical that you do not just hire the first coach you talk to. Instead, we recommend you speak with at least 3, and ideally 4 or 5, to find the one who you’re going to feel the most comfortable working with over a period of several months. Almost all professional coaches offer a free, 15 or 20 minute consultation to help you determine if they are the right coach for you. If you’re fairly sure about what you’re looking for in a coach, you can find a list of hundreds of coaches with several specializations in Noomii’s directory of professional life coaches. However, if you’re not sure exactly who you should be coaching with, you can request a coach through our Referral Program. With this service, you tell Noomii about your goals, background, and budget, and we send you a select list of compatible coaches to interview for your free consultations. This article was written by Stephan Wiedner, co-founder and "Head Coach" at Noomii.com.